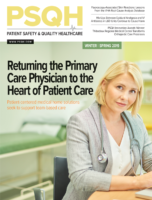 In the world of patient safety and quality, we are constantly striving to find new ways to learn and improve—whether it is through using a new technology, expanding on an old theory in a different context, or capitalizing on modern physical spaces. The Midwest Healthcare Quality Alliance (MHQA), located in Springfield, Illinois, has put all of these to use to develop an annual patient safety and simulation symposium for all members of the healthcare team, titled “Fundamentally Human—An Innovative Exploration of Patient Safety and Engagement.” By taking the conceptual model originally formulated by Dr. Avedis Donabedian over 50 years ago examining structures, processes, and outcomes (McDonald, 2007), and capitalizing on the MHQA’s unique organizational structure and a state-of-the-art simulation center, an exceptional interactive educational event has been designed, supporting the strategic goal of building capabilities in the regional workforce for better patient outcomes. Established in 2014, the MHQA is a partnership between Memorial Health System, a community-based, not-for-profit corporation; Southern Illinois University (SIU) HealthCare, an academic physician group; and Springfield Clinic, a large, for-profit, multispecialty private physician group. This partnership was formed to develop innovative solutions for improving healthcare safety and quality across populations through research, education, and simulation. 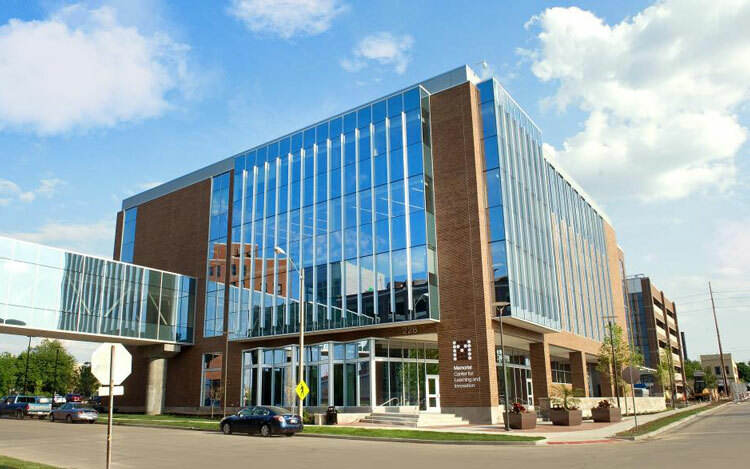 Memorial Health System’s 500-bed, tertiary-care flagship hospital, Memorial Medical Center, was awarded the 2016 American Hospital Association McKesson Quest for Quality Prize™, is a three-time Magnet® Designated hospital, and is the primary academic teaching center for SIU School of Medicine. Opened in 2015 at a cost of $45 million, the MCLI is a 72,000 square foot learning facility shared with SIU staff, and includes a state-of-the-art simulation center featuring clinic exam rooms; an operating suite; a trauma bay; a hospital patient care room; an ED exam room; an ICU/OB room; wet and dry surgical skills labs; a patient home; and an ambulance—all under one roof. “Simulation is an extremely valuable method by which new and experienced health professionals can learn or practice new skills. State-of-the-art facilities can be a valuable resource in advancing the use of simulation in creative ways,” said Tejal K. Gandhi, MD, MPH, CPPS, president and CEO of the National Patient Safety Foundation, after a visit to the facility in 2016. The MCLI is also home to the SIU School of Medicine’s standardized patient (SP) program. Established in 1981 and one of the oldest in the country, the program has over 150 standardized patients, providing an available “patient” for almost every age, body type, and ethnicity to fulfill any disease known to medicine. SPs are paid actors who have received very specific training and instruction on the ‘patient’ they are portraying, which includes details on the patient’s medical history and current illness. “The MCLI’s simulation center works in tandem with the SIU standardized patient program to help us simulate any clinical challenge. This collaboration allows us to simulate care processes, debrief our performance, and then make both operational and clinical improvements,” says Dr. Chris McDowell, program director, of the emergency medicine residency program at SIU School of Medicine, and medical director of the MCLI.